You may create multiple options for products as you like, such as sizes and colors – each with it’s own price, stock level, reward point and weight. 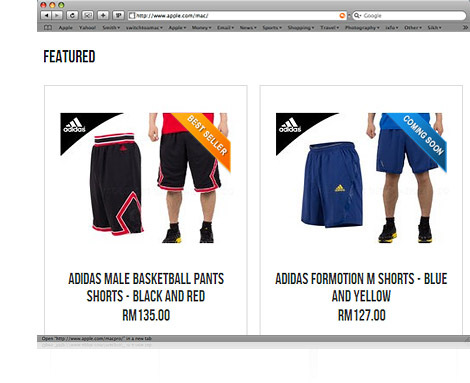 It allows shoppers to browse your product option easily on the same page. Besides you can even create extra text field to let customers fill in, e.g. a florist & gift online store might have delivery date, delivery time, or message needed to capture from customer for each product. 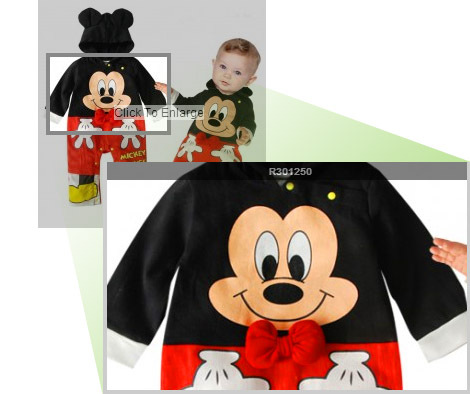 Let your customer zoom in for a closer look for big product image, let them see the finest details of your product image, show them quality of your product before they purchase. 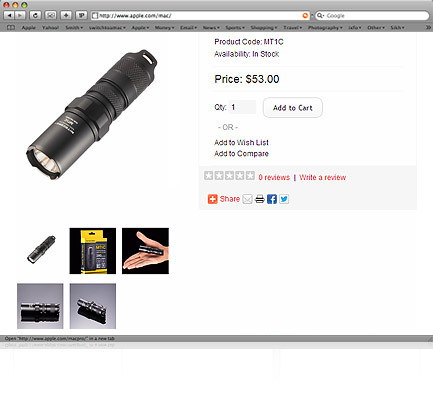 Add as many product images as you can for each product, no limitation at all. Showcase your product in different color and angle, let shoppers see as much as possible before buying. Besides tangible products, you can sell digital download as well (e.g. 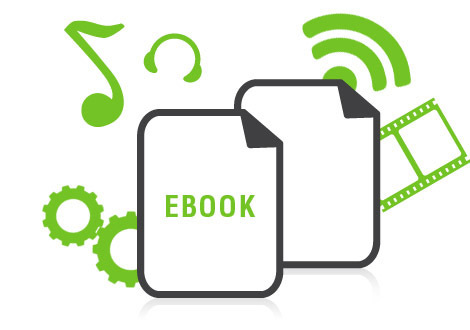 MP3s, ebook, video, software, etc.). You can add products with associated downloadable content, and your customers can automatically download their files after payment. 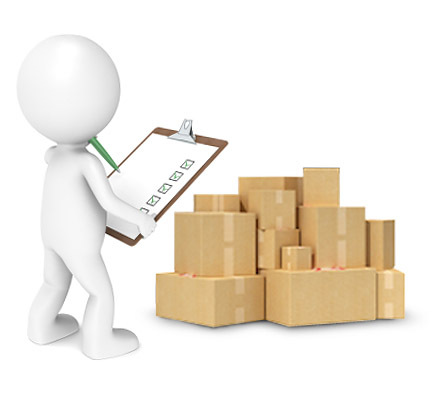 When an order is placed, inventory is updated automatically. You can also update your stock in batches using spreadsheet (CSV files). 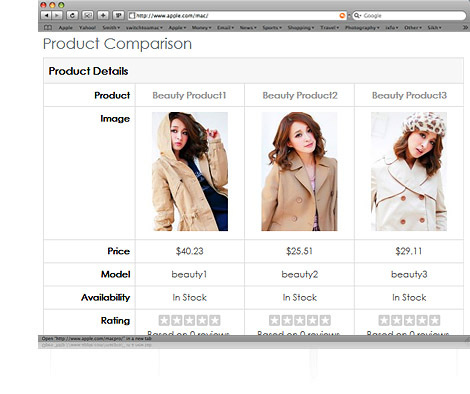 Let your customer compare easily each of the product details and specification by showing in tabular format. Display your own branding in your product thumbnail, useful in preventing someone stolen your product images. You may choose from 8 preset labels or upload your own label. 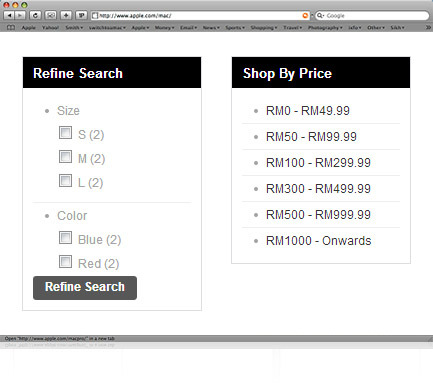 With price range and product filter feature, customers is easier to browse your products.